The Christian family had always been powerful and influential on the Isle of Man, at least, that is, until Tom Christian disgraced the family by marrying a lower-class woman and dying a broken-down wreck at age thirty. His son, Philip, aims to regain all his father has lost, but finds himself in danger of repeating his father's fate when he falls in love with his cousin Pete's betrothed, a beautiful barmaid named Kate. Philip promises to look after Kate while Pete travels to South Africa in search of fortune, but as Philip and Kate's love grows, Philip will face a terrible choice. Will he betray his friend and abandon his political prospects and marry for love? Or will he sacrifice Kate to his political ambitions? A moving and tragic tale of love, loss, and redemption, The Manxman (1894) is Hall Caine's masterpiece. Caine was the best-selling and wealthiest author of his time, his books selling in the hundreds of thousands of copies and translated into numerous languages worldwide. 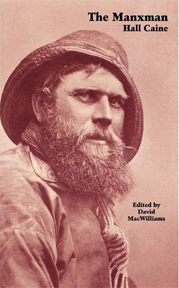 The Manxman went through dozens of editions and was filmed by Alfred Hitchcock before falling into neglect by the mid-twentieth century. This new edition restores this forgotten masterpiece to modern readers, and includes the text of the first edition and a new introduction and notes by David MacWilliams, as well as contextual appendices.